Mobile phone maker, Samsung, has been reported to have delivered a new version or we may call it an update of the Network Profile Tool for its Windows Phone 7 users. With the release of an updated version, the South Korean mobile giant has claimed to have fixed all issues being administered with the company’s handsets. One of the most reported problems which the Windows powered Samsung phone was suffering from, had been the unexpected behavior of the handset when unlocked, with the smartphone ending all possibilities to set up various functionalities. The Unlocked version of the Windows Phone 7 handsets available in the market came with Automatic Data Configuration (ADC) disabled right from the start. The ADC was meant to configure the device for network provisioning after booting up with SIM swap. Travelers were the first notice about the bug due to the number of times they make a switch of the SIM’s. While the ADC is disabled or off, users also complained of no access to the MMS feature on the WP7 phone. 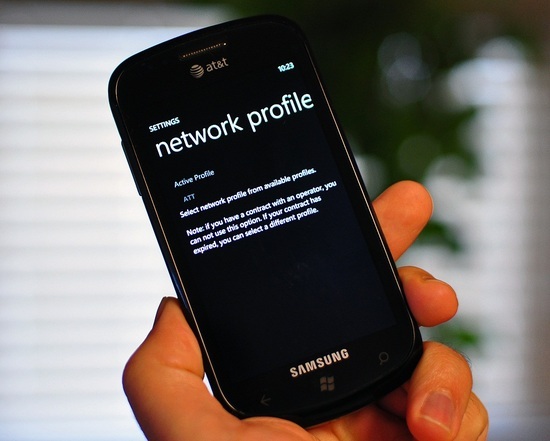 With the release of the Samsung Network Profile application, version 1.9, the app delivers almost all bug fixes while even allowing users for the use of MMS on new networks.